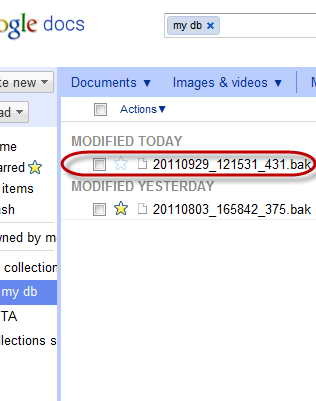 Consider how to create a database backup and upload it to Google Docs. To work on documents in the format of Google Docs, you must have Google account. If you do not have an account Google, create it. How to do it, you'll learn refernces. Sign In to your website. 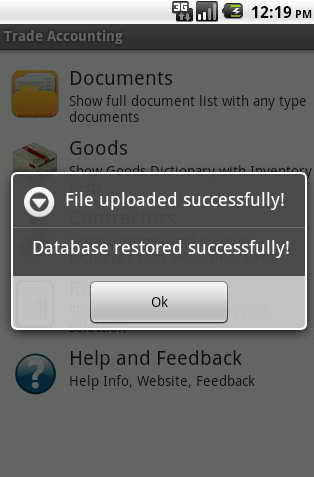 Then, under "Documents" / "My Collection", create a folder (collection), which is unloaded database backup. How to work with documents in Google, click here. Now the application should specify the path for uploading the data. 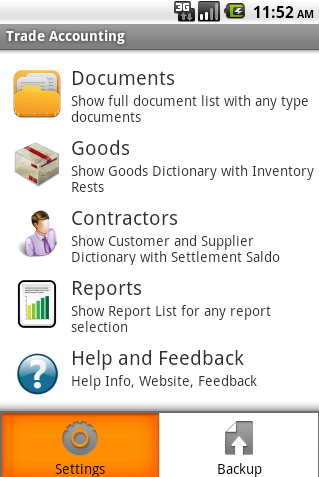 In the Main Menu, open the Options Menu (button phone "Menu") and select the "Settings". Specify the login account Google. 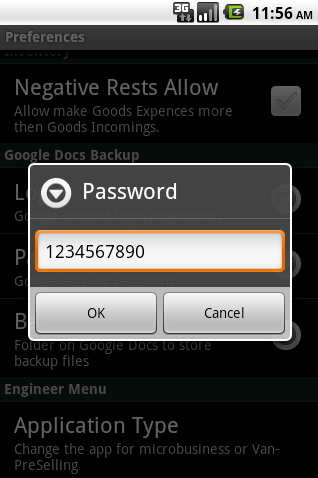 We introduce the password for the account Google. 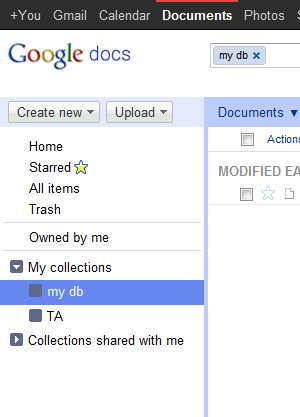 We introduce the name of the folder (collection), we created the "My Collections" on our page of Google. Let us return to the Main Menu. Open the Options menu and select "Backup". 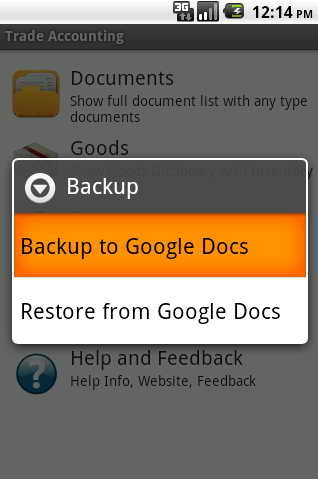 Click "Backup to Google Docs». Click "OK". A file with this name will appear in my db, using Google Docs account. 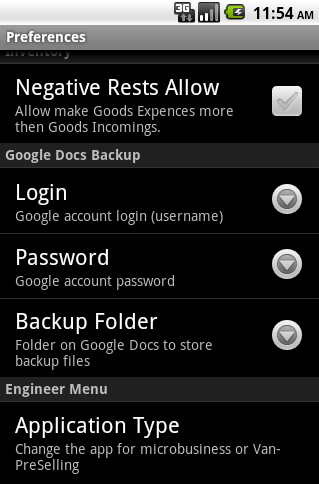 Now consider how to restore our database from a backup in Google Docs. Open the Options menu in the main menu and then select "Backup". 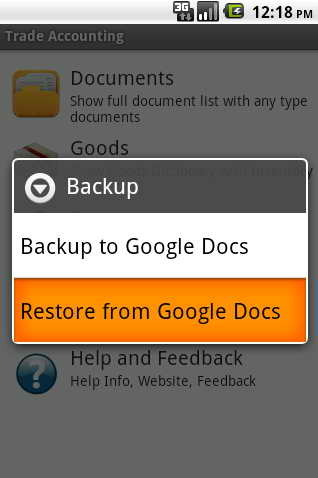 Click the "Restore from Google Docs». 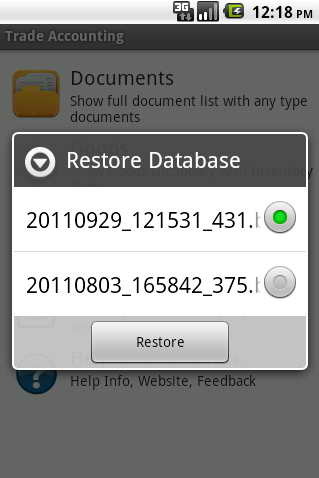 Specify you want us to file with the backup of the database and click "Restore." The data was successfully restored, you can get to work.